Whether in the air, land or sea – plastics are on the move. Durable, lightweight and corrosion resistant, plastics offer fuel savings, design flexibility and improved performance at reduced costs to manufacturers navigating today’s complex transportation needs and regulations. 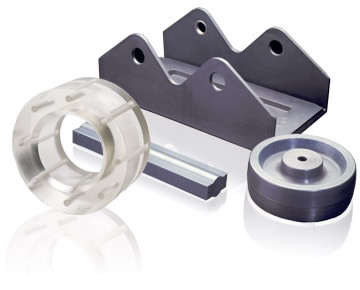 Lehigh Valley Plastics can help you achieve your design criteria on all fronts. We have extensive experience supplying solutions across the entire transportation spectrum – from commercial and commuter rail to aerospace, emergency service vehicles to underwater exploration – if you are involved with moving from point A to B, think of LVP! Give us a call today to discuss how our capability and knowledge can aid your current and future designs.